If you live in southeastern North Carolina, chances are you know that the humidity can affect more than just the temperature outside or your hair! The humidity in our area can also have a great effect on how the crawlspace in your home functions. Crawlspace issues also tend to pop up during real estate transactions, so if you are thinking of putting your home on the market or are looking to buy in the area soon, it’s important to know how to solve crawlspace problems. The crawlspaces in our region are not only the most neglected area of the home, but are often subjected to outdated technology that does more harm than good in terms of helping them stay clean and dry throughout the year. For example, foundation vents help air flow problems and circulation, but in a crawlspace, they tend to allow a climate full of humidity and fungal spores to enter a house and create problems for homeowners. When a crawlspace is properly sealed, a dehumidifier can be used to more effectively control the environment below the home while clearing the air of moisture, mold, odors, and fungal spores. Since a crawlspace can be very large – sometimes thousands of square feet – it’s important to hire a professional who will use the correct appliance to ensure safe and proper humidity control. At Sahara Crawlspaces, we only use dehumidifiers that are certified for use in the crawlspace, as opposed to some products you might find yourself while shopping in department home improvement stores. Different models can be better suited for different situations, so our company is flexible with what brands we use. However, we only partner with leaders in the industry like Sante Fe, Seaira Global, and April Are to get the best results in every home. Since these units require attention in order to operate well over longer periods of time, we also offer an annual maintenance program with a full warranty on any installation we have performed for our customers. How does it work, though? You may have heard about this appliance, but aren’t exactly sure what it is doing down there. Once you install a dehumidifier, it starts pulling air into the unit and straining the moisture out of it in the process. It then collects that moisture in an HVAC quality condensate pump and removes the water through the foundation wall. 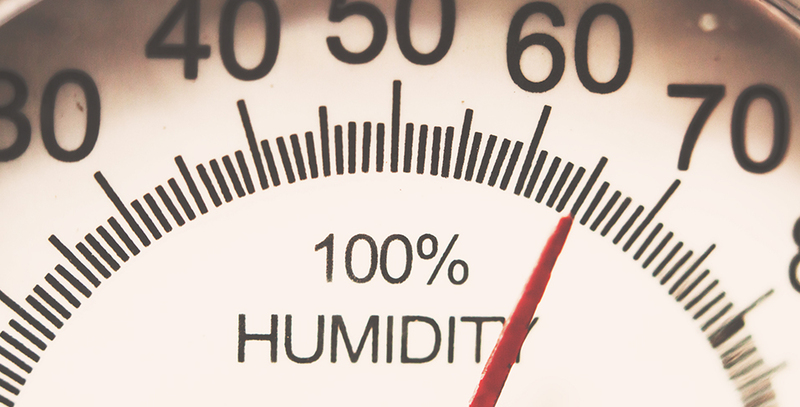 Once the appropriate level of humidity has been achieved, the unit will not run unless it needs to lower the humidity back to the preset level. If you have questions about setting your home up with a reliable dehumidifier and how it can help improve the air quality and overall health of your household, contact us for an inspection and consultation!